Redmond tree service company serving Bellevue, Redmond, Sammamish, Issaquah, Kirkland, Woodinville, Bothell and Eastside. Hello, I'm John Simpson. 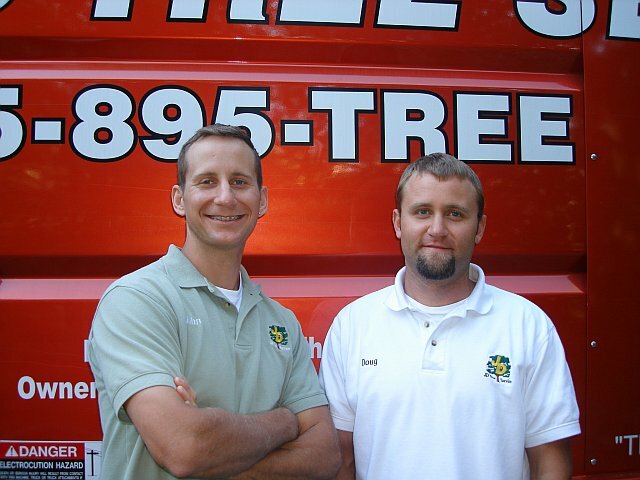 I started my company, JD Tree Service, with my cousin Doug Bakken in 2001. We have now been serving Seattle's Greater Eastside with owner-operated quality and professionalism for over 13 years. We are located in Redmond, WA. Compared to other tree services, our company is founded on a unique principle. Our main priority is your satisfaction - NOT maximum production and just getting the job done quickly. To achieve this goal, both of us - the owners - work at every single job we do. We are owner operated in the true sense of the word meaning we actually do our own work- not just our estimating. 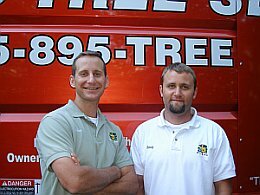 This is different than most tree services and gives you the highest level of experience and quality for all your tree care needs. Standard practice in the tree industry is for the owner to be out finding other jobs, leaving your job in the hands of the cheapest employees he can hire. We plan to stay small. This philosophy evolved over years of working for other tree services that we felt needed improvement. Our quality of work is superior compared to most companies because, as the owners, we have more at stake than employees do. We take our time to make sure the job is done right! As owners of our company, we perform all of the work on every job site. You will not be dealing with an inexperienced crew sent to your property! We are also members of The International Society of Arborculture which is where we received all of our arborist training. We specialize in everything from difficult technical tree removals to fine pruning of ornamental trees for residential and commercial properties.
" I was a little skeptical seeing only perfect reviews for JD Tree Service, but they certainly lived up to the reputation. My new house needed a lot of work, removing and pruning trees. During the estimate they not only pointed out areas that needed attention, but also told me areas that didn't need any work. I was happy that they were willing to turn away work when they felt it wasn't necessary. They came on time, worked efficiently and got the job done. I'm very happy."